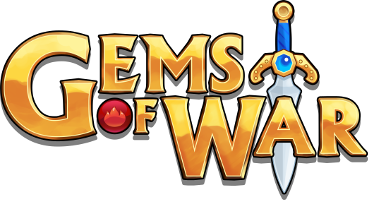 Your Hero is your playable character in Gems of War and one of your strongest "Troops". You can level your Hero, gain and upgrade special Hero Classes, equip a Weapon and Armor as well as customize your look. For even more information and options select your Hero's picture to open the Hero menu. In the Hero menu, the Skills tab shows you all your Hero Skills and a break down of where all your Skill points are coming from. The Masteries tab shows you your current Gem Mastery scores and a break down on where the Mastery points are coming from. The higher your Gem Mastery of a certain color, the more likely you are to receive a Mana Surge for matching Gems of that color. Your Hero will gain Skills Points (such as Armor or Life) and Gem Mastery by leveling up. The maximum level you can achieve is 10,000. Therefore, as you hit level 50 and continue to level-up your Skill point gains will be less frequent. Every level up to 1,501 will earn Gem Mastery. Earn more Skill points by unlocking and leveling Hero Classes which can be used to customize your Hero to your favorite playstyle. Hero Classes give Skill points based on the Class. For example, a Knight will give a lot of Armor but a Warlord might get less. On the Armor Bonus screen, you can purchase and select which Armor you'd like to receive bonuses from. For more information about Armor see this article here. On the Style screen, you can customise your Hero's looks and change your name. Here you can find a list of all the Resources and other items you can use in the game (not including Troops, Weapons, Pets, and Armor). You can expand and collapse item types by selecting the headings. On this screen, you can view a breakdown of your active Hero Bonuses. For more information about the bonuses, see this article.